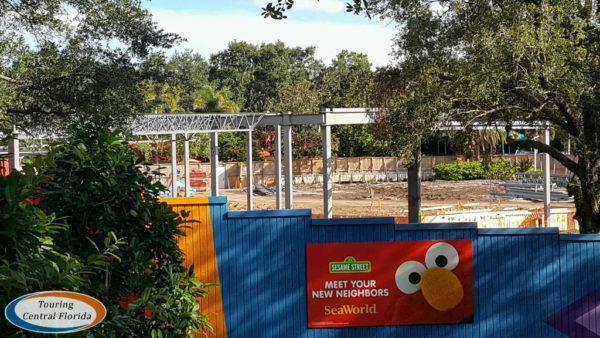 Scheduled to open in Spring 2019, Sesame Street at SeaWorld Orlando will take guests directly into the world they’ve seen on television for decades. 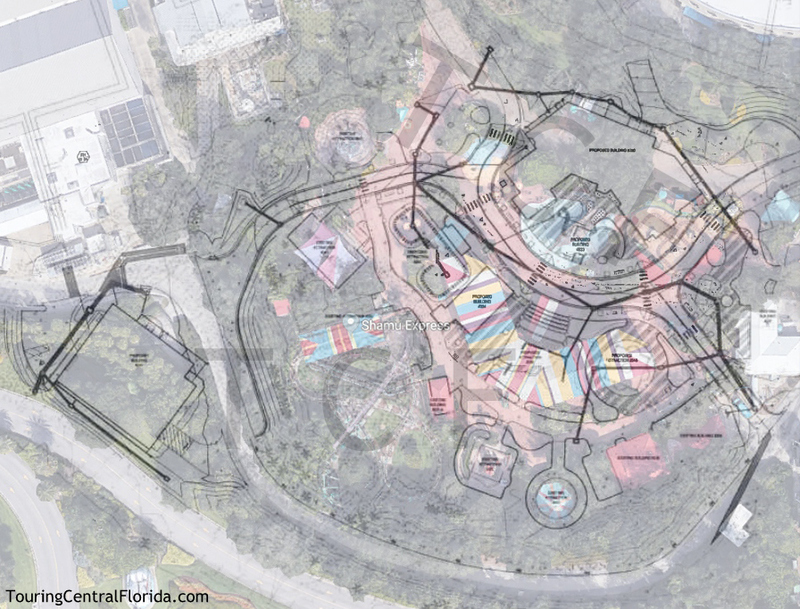 The area will feature several attractions, a parade, and other new interactive experiences. 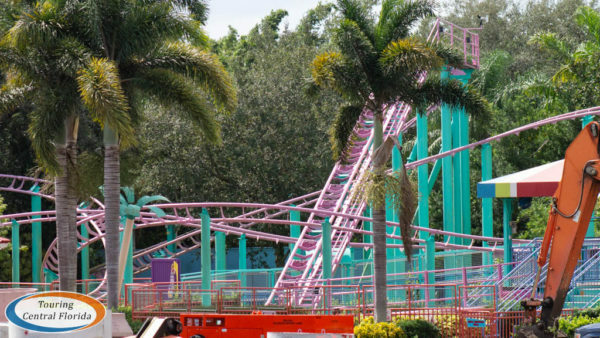 Touring Central Florida first reported in February the scope of the project, including a look at what would be staying and going with the conversion of Shamu’s Happy Harbor. 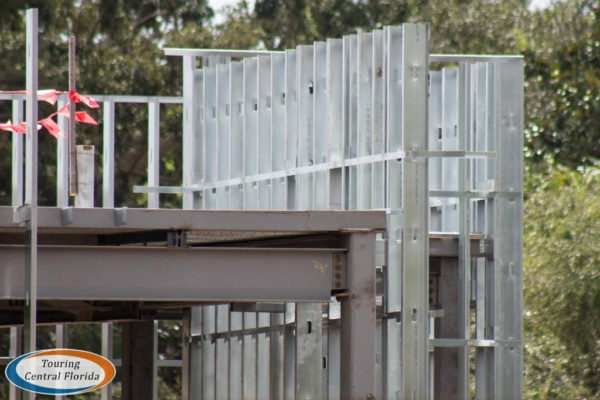 You can see more details including site plans in our exclusive article. 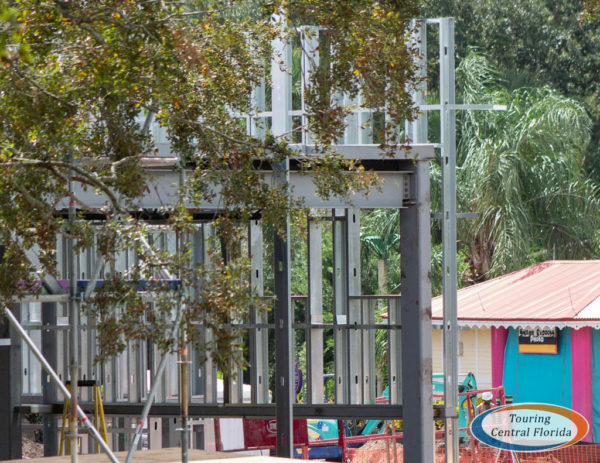 Work on the project began in April when construction walls started going up around several attractions. 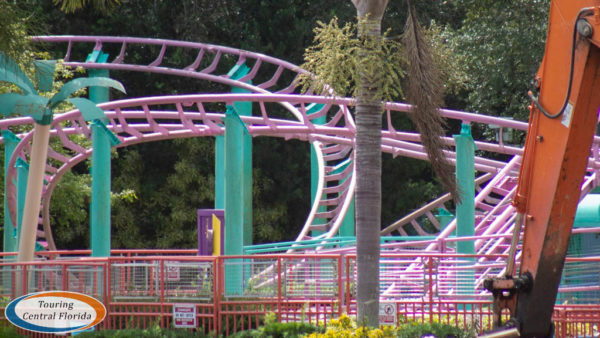 Fun Ship, Net Climb, Seven Seas Railway, Shamu Express, Swishie Fishies, and Water Works were all closed at that point, with the rest of Shamu’s Happy Harbor (except the carousel) closing later. 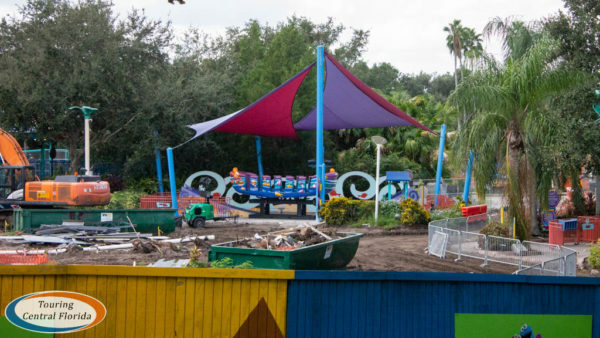 The Seven Seas Railway has been temporarily relocated in front of Wild Arctic, and a temporary splash pad as been opened along the waterfront across the Sharks Underwater Grill area. 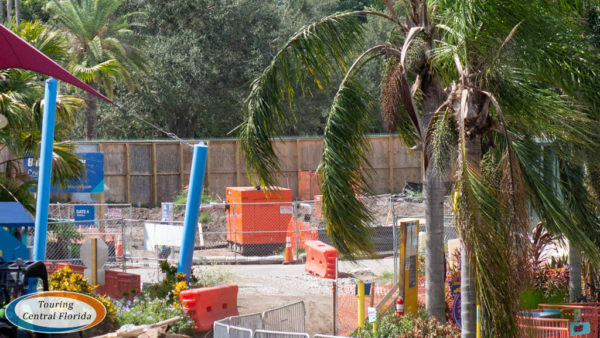 Much of the site was cleared, and over the summer a large structure began to rise over the construction walls just behind Shamu Stadium. 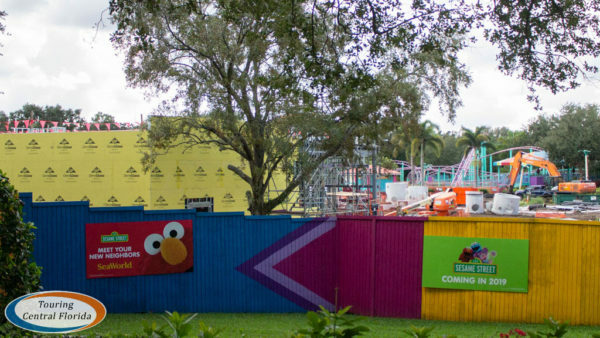 At a press event last week, we got a look at the new logos for six of the attractions that will call Sesame Street home when it opens in 2019. 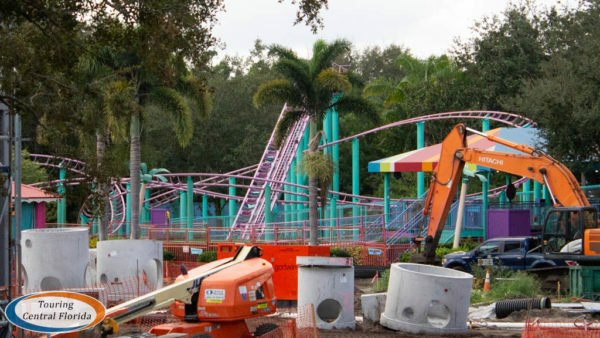 Most of the rides that were part of Shamu’s Happy Harbor will get some new theming and return once Sesame Street opens. 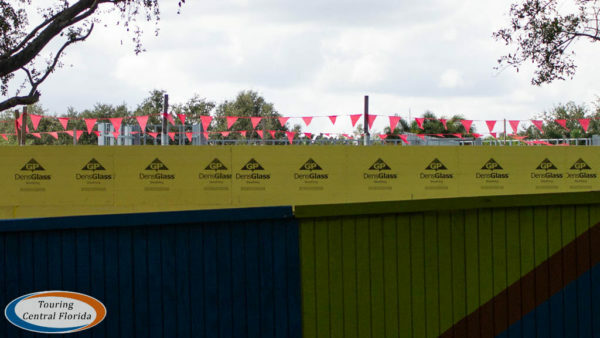 As of this past week, work continues across the site. 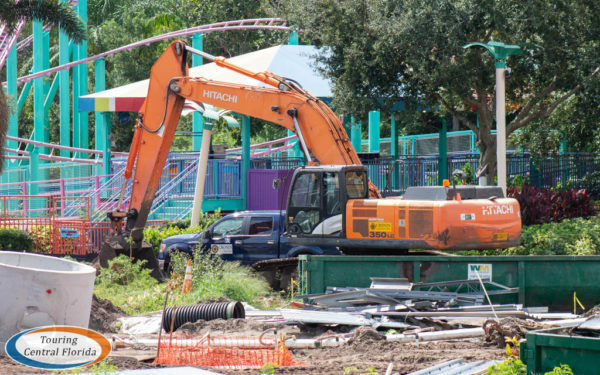 Recently, the path with Mama’s Pretzel Kitchen and Sea Carousel became a dead end as the construction zone expanded. 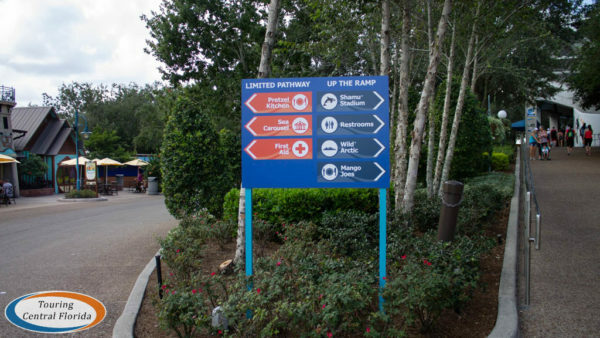 New signage has gone up letting guests know the eatery and carousel are still accessible, with all other traffic needing to head up the ramp and around the back of Shamu Stadium to access Wild Arctic and other sections of the park. 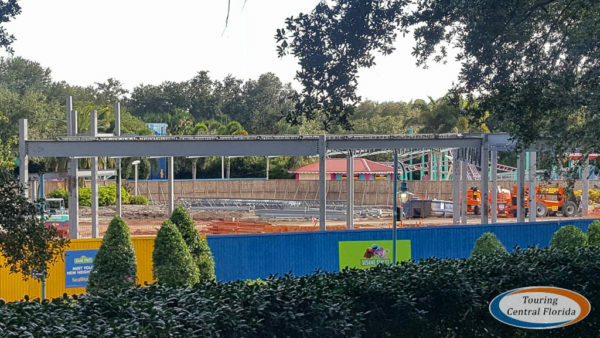 The large building that has been under construction for months is now mostly enclosed. 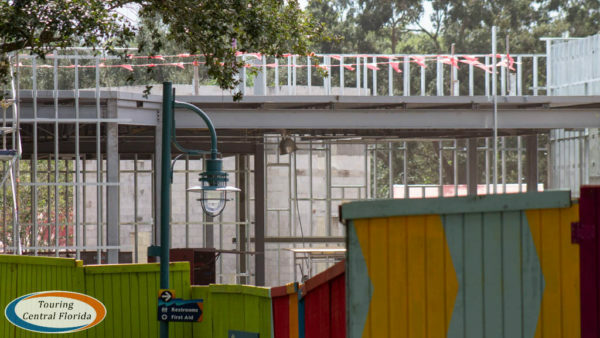 Structural work on the front side is underway to receive the large sections of Sesame Street facades that will really bring the television show to life for guests. 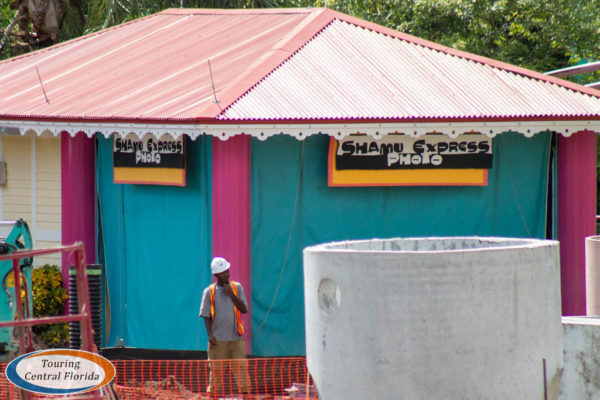 It doesn’t look like any major work has taken place on the former Shamu Express as of yet, which is expected to be converted into Super Grover’s Box Car Derby. 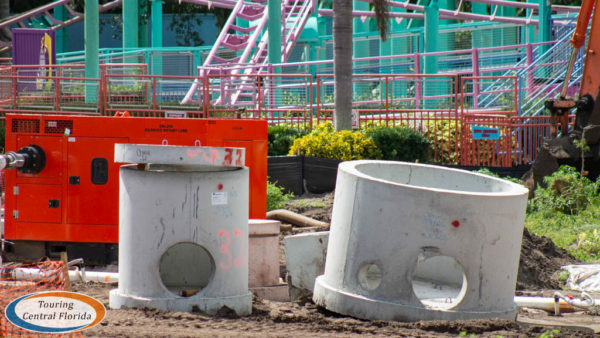 Elsewhere on the construction site, it’s a mix of old and new, with lots of clearing and debris in some areas, with remnants of Shamu’s Happy Harbor sitting mostly untouched in others. 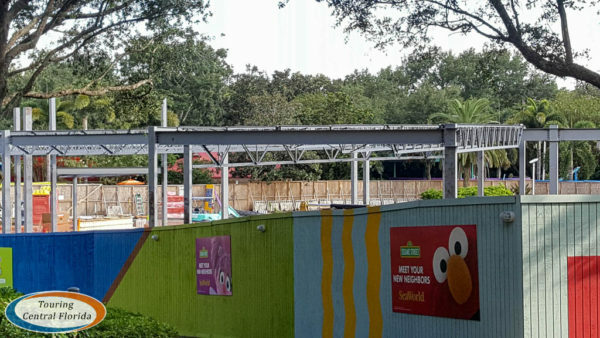 Keep an eye on our site for more Sesame Street construction updates in the coming months! 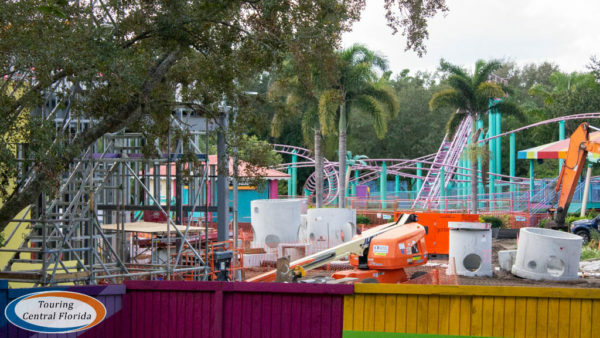 So really nothing’s changing quality wise except you’re just spending more money to rebrand what was already at Shamu’s Happy Harbour, lessen it and convert it to Seasame Street because these “new” attractions already had a similar one they are replacing. Seriously disappointed in Seaworld. 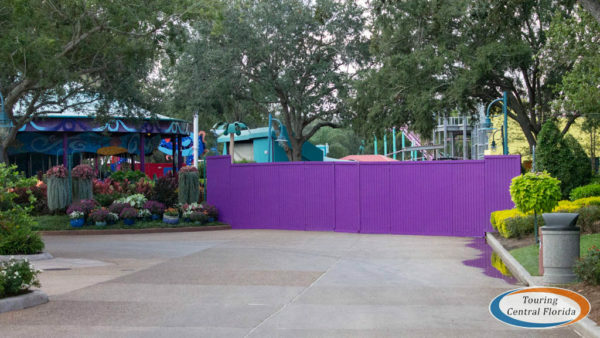 There is nothing currently there for the smaller visitors to do but watch a shortened version of the same three shows they’ve had for the last several years. 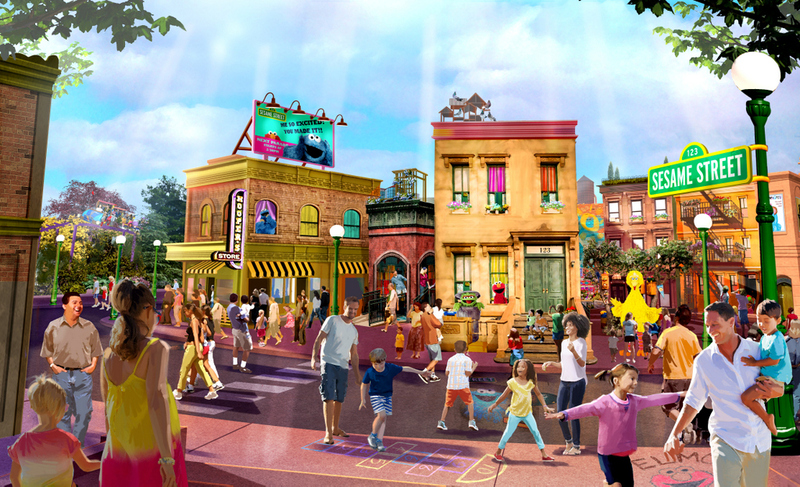 In addition to the returning & rethemed attractions, there will also be a new parade and meet & greets featuring Sesame Street characters.